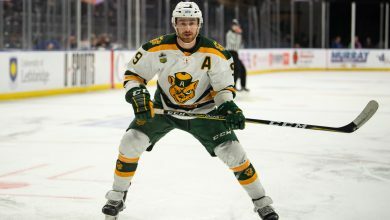 In a 2014-15 season that saw him break the Canada West single-season assist record, Brett Walsh was named only a second-team Canada West All Star. This season was a different story, as the fourth-year setter captained the Golden Bears volleyball team to a 23-1 record in conference play. While he didn’t reach his assists mark set last season, Walsh averaged more assists per set, leading Canada West with 11.76. Mid-season, he broke the Golden Bears record for assists in a career. Walsh contributed to a bulletproof Bears block, as well as spinning 16 aces from the service line on the season. 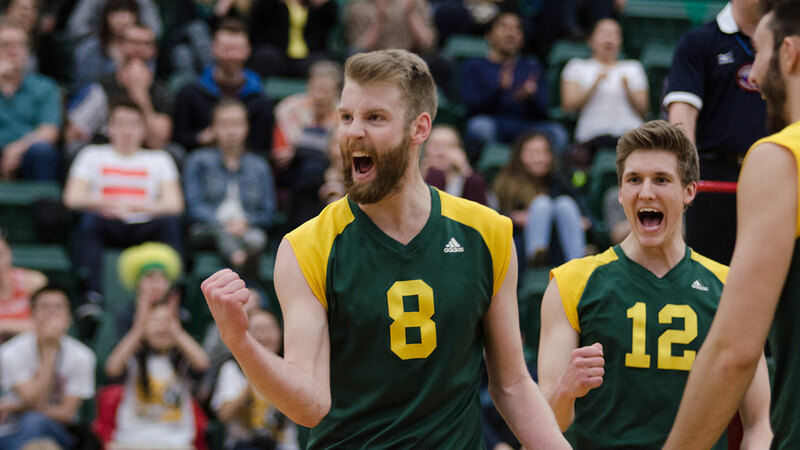 With the Bears grinding out a bronze medal victory in the Canada West Final Four, they punched their ticket to CIS Nationals. There, Walsh managed 10.76 assists per set, an .800 kill percentage, and was named a tournament All-Star for the third straight season, as well as taking home the R.W. Pugh Fair Play Award. In addition to being named a Canada West and CIS First-Team All Star this season, Walsh won the CIS Player of the Year Award, becoming the eighth player in program history to win the award. 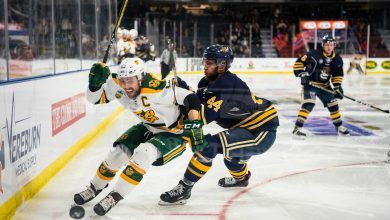 The other finalists for Bears athlete of the year include Bears hockey forward Jordan Hickmott, who scored 35 points in 28 conference games in his fifth and final season, good for first on the Bears and third in the conference, and Bears basketball foward Mamadou Gueye, who led his team in both scoring and rebounding this past season. Due to her outstanding individual efforts over the course of the season, runner Ashley Whiteman is your Pandas athlete of the year. The first-year Arts student was instrumental in helping the Pandas track and field team win their first Canada West gold in 33 years, winning three medals in the event: a gold in the 300-metre dash, a silver medal in the 600-metre race, and another gold as part of the 4X400 metre relay team. Whiteman’s momentum didn’t stop when she got to the national stage. She racked up three more medals at the CIS championships in Toronto, helping the Pandas to a fourth place finish, their highest national placing since 2011. She won gold in the 300-metre dash once again, while also helping both the 4X200 and 4X400 metre relay teams collect gold and bronze medals respectively. Her six medals over the course of the season represented a team high, and the future of Pandas track and field looks bright with her leading the team forward. The two other nominees for Pandas athlete of the year include hockey goalie Lindsey Post, and volleyball outside hitter Meg Casault. Post had another outstanding season between the pipes for the Pandas, finishing the year with a 14-8-1 record, 1.34 goals against average, and eight shutouts. She also set the Canada West record for career shutouts by a goaltender during the season, and currently sits with 26 for her university career. Casualt also had a great season in her own right, being named a first-team All-Canadian, and finishing second in Canada West in both kills and kills-per-set. 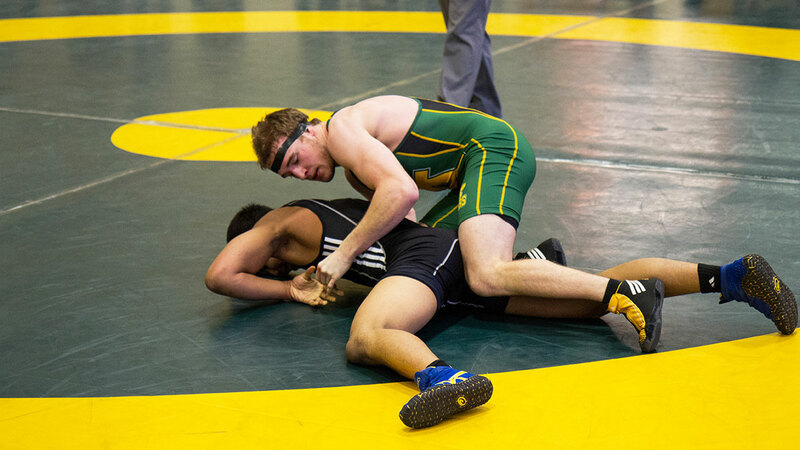 No CIS wrestler had won three consecutive Wrestler of the Year awards until Michael Asselstine accomplished the feat this year. As a result of this historic achievement, he is the graduating athlete of the year. The accolades were certainly well deserved for the Edmonton native, as he also won three consecutive CIS gold medals, the first two of his career coming at 61 kilograms, while his most recent medal came at 68 kilograms. Asselstine’s medal from his final season adds to an already full trophy case, as he also has a CIS silver medal from 2013 in the 65-kilogram weight class. Aside from that, he also won the Wilson Challenge trophy as U of A athlete of the year in 2013, Canada West rookie of the year in 2008, and the CIS student athlete community service award in 2013. He’s also had success while representing his country, winning gold at the 2013 Francophone Games, and silver at the 2014 Pan American games. The other nominees for the award were Bears hockey defenceman Jordan Rowley, and Pandas basketball guard Jessilyn Fairbanks. Rowley had an immensely successful CIS career coming off stints in the WHL for the Kamloops Blazers and Prince Albert Raiders. Rowley has won the Mervyn “Red” Dutton trophy for Canada West’s top D-man twice in the last three seasons. He was also the Bears lone representative on the CIS All-Canadian team this past season. Fairbanks also had a great final season, as she won defensive player of the year in Canada West this past season, while leading her team in points per game. 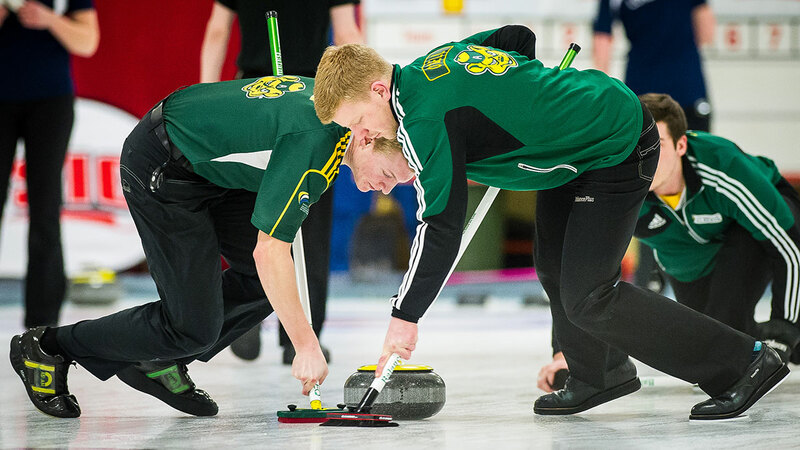 There was only one team at the U of A this year who managed to take home a CIS gold or silver medal: curling. Because of this, they were an easy choice for team of the year. 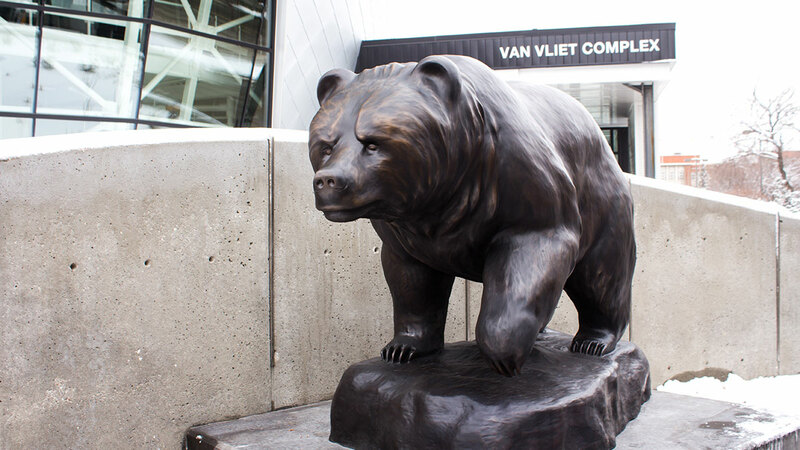 While the Bears and Pandas couldn’t repeat their double gold performance from last year, they were both still able to land on the podium, with the Bears taking home silver, and the Pandas winning their second consecutive CIS gold medal. The Pandas were 5-2 after CIS round robin play, and managed to get past the Guelph Gryphons with three points in the tenth end of their semifinal, winning 8-6. There were more late heroics from the Pandas in the final, as they were down 4-3 against the Thompson Rivers Wolfpack heading into the tenth end, but managed to steal a point to tie the match, and then won in the 11th end off another steal, securing the CIS championship with a 5-4 victory. The Bears went 7-0 in round robin play, and also made it to the finals, but were unfortunately overmatched by the Wilfred Laurier Golden Hawks, losing 7-4. Kelsey Rocque’s Pandas rank will now also get to represent Canada at the 2017 Winter Universiade games in Almaty, Kazakhstan. The runners up for team of the year include the Bears volleyball team, the only other U of A team to capture a CIS medal this year, as they won bronze. The track and field teams, who finished first and second at Canada West finals, were the other nominee, with the Pandas side winning their first gold medal in 33 years. The coach of the year comes from the most successful varsity team at the U of A this year. 10th year head coach Rob Krepps led the Bears and Pandas curling squads to dominating seasons this past year, and once again saw success at the CIS level. The route to CIS Nationals wasn’t easy for either team, as they had to finish strong at the Western Canadian Championships in order to qualify for a shot to retain their titles. Both teams took care of business in the tournament, each winning the Canada West crown. Both teams went into CIS Nationals with a target on their back as the defending champions, and Krepps was able to coach the Pandas to another title despite the added pressure of being defending champions. Kelsey Rocque’s rank went 5-2 in round robin play, and beat the Guelph Gryphons in the semifinals, and the Thompson Rivers Wolfpack in the finals en route to their second straight CIS crown. While the Bears weren’t able to retain their title, they still were able to walk away with a silver medal. This year also marked the fourth straight season either the Bears or Pandas played in a CIS gold medal game. Credit goes to Krepps for being able to keep the program at a consistently high level over the course of the past few seasons. The other nominees for coach of the year were track and field coach Wes Moermann, who coached Pandas track and field to their first Canada West championship in since 1983, and Bears volleyball coach Terry Danyluk, who led Bears volleyball to a CIS bronze this past season, making them the only team other than curling to reach a CIS podium. There were no shortage of outstanding rookies at the U of A this year, but given how much of an impact he made on his team, your rookie of the year is Bears basketball forward Brody Clarke. 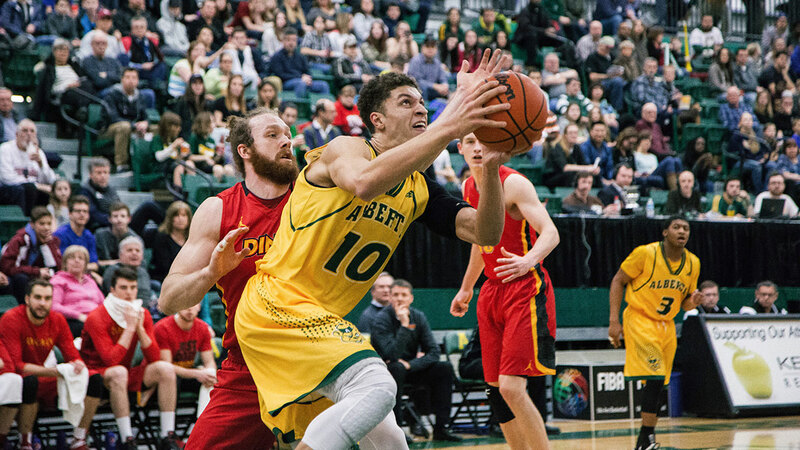 Clarke took home Canada West rookie of the year honours, averaging 12.0 points per game and 6.3 rebounds per game, putting him second on the Bears in both categories. Clarke and Mamadou Gueye formed an impressive one-two punch for the Bears this season.Clarke was also the only forward to be named to the Canada West All-Rookie team. Season highlights for Clarke included a 30-point effort in a 72-65 win against the Brandon Bobcats on Jan 22, and the last five games of the season, where he averaged 17 points per game, a figure well above his season average. The two runners up for rookie of the year also took home some hardware of their own, both winning Canada West rookie of the year in their respective sports. Bears soccer midfielder Shamit Shome was an integral part of his team’s offence this past season, finishing tied for second on the team in goals with six, while also recording the highest shooting percentage on the team, scoring on 40 per cent of his shots during the regular season. Brooklyn Legault was also very impressive for the Pandas basketball team during the regular season. The 6’1” native of North Vancouver, B.C. averaged 6.5 points and 4.5 rebounds per game, while starting in 19 out of 20 conference games last season, and was named Canada West and CIS Rookie of the Year. She also became the first Panda to win CIS rookie of the year since the award’s inception in 1990.